How to Exterminate Bedbugs - Yes Pest Pros, Inc. How to Exterminate Bedbugs - Yes Pest Pros, Inc. Bed bug extermination can seem like a very daunting process. From the moment you noticed the first warning signs of bed bugs, you have been researching every possible method to be sure the bed bugs are gone. The unfortunate truth is that you do have to take serious measures once you determine bedbugs are in your home, but you don’t have to panic or waste money on useless remedies. The best thing to do is to take a deep breath and call a residential pest service experienced in bed bug extermination. Bed bugs happen to homes all across the nation and pest control services have developed a very effective strategy of bed bug extermination. If you read just a few of the millions of horror stories about bed bugs, you know you’ll want them gone. Immediately. Spraying consumer products that claim to kill bed bugs and washing your bedding is not enough to ensure that these resilient night biters will be gone for good. Homeowners who attempt to exterminate bed bugs on their own spend money on treatments that are nothing more than marketing gimmicks. The good news is that with pest control services you do not have to sort through the marketing to find a product that will actually work. Outside of consumer products on the market, homeowners often try home remedies that turn out to be little more than “old wives tales”. While some concepts like heating the room to draw out and kill the bed bugs are used in professional pest control services, a homeowner is not equipped to carry out this technique alone. Trying various methods of bed bug treatments before calling a pest control service provider may seem to be worth the financial risk, but do not forget that if they fail you will still have bugs in your bed during the night. It is nearly impossible to get a good night of sleep knowing that bed bugs are crawling around in your home, ready to bite you while you sleep. Meanwhile, the bedbugs will have spread to other rooms in your home and the problem will have been exacerbated. Now you will have created an infestation that requires immediate, invasive and high cost treatments. 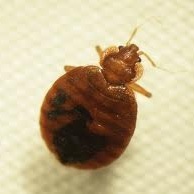 If you do find evidence of bedbugs in your bedding or by bites on your arm, save yourself the worry and money and call Bloomginton, IN pest control company Young Environmental Solutions immediately. Dealing with pest control is worth a good night of sleep.